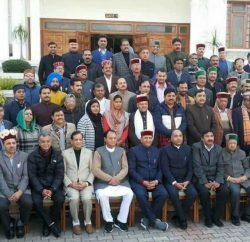 Arun Dhumal, son former chief minister and leader of opposition Prem Kumar Dhumal has levelled serious allegations against Chief Minister Virbhadra Singh and his parliamentarian wife Pratibha Singh. 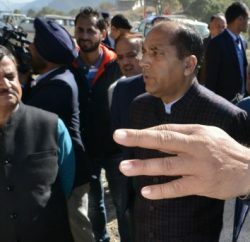 In a press conference at Shimla, Arun Dhumal has challenged the election affidavits of Singh and his parliamentarian wife Pratibha Singh, accusing them of concealing facts. 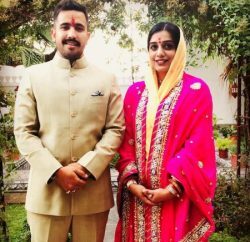 He accused that both have concealed facts in their election affidavits about the income of their son Vikramaditya Singh, who was shown as dependent. He claimed that Vikramaditya Singh has received Rs.1.01,80,000 (Rs. 1.1-cr) in Nov 2011 in his bank account and both Virbhadra Singh and Pratibha Singh had concealed it in their election affidavits. He questioned that “since Vikramaditya is dependent and not having any sources of income, then from where he got this huge money”. He asked election commission to cognizance on the issue and cancel their membership. Arun Dhumal, who had earlier shown displeasure over the Govt action against his family, has virtually opened a front against Chief Minister Virbhadra Singh and even raised doubts over the revised income tax return during the period of his stint as cabinet minister in Manmohan Singh government. He also asked about the rationale behind the chief minister and his parliamentarian wife raising an unsecured loan of Rs.3.90 crore from one Vakamulla Chander Sekhar of New Delhi and demanded to reveal his identity. Arun Dhumal is also holding press conference tomorrow at HHH Hotel in Shimla at 11:00 in the morning and will reveal the bank account Vikramaditya Singh, in which he had received this undeclared amount and the details of one Vakamulla Chander Sekhar, who is making news from sometime in Himachal for his alleged link up with Virbhadra Singh.